For delivery charges please see our Delivery Costs & Site Info page. 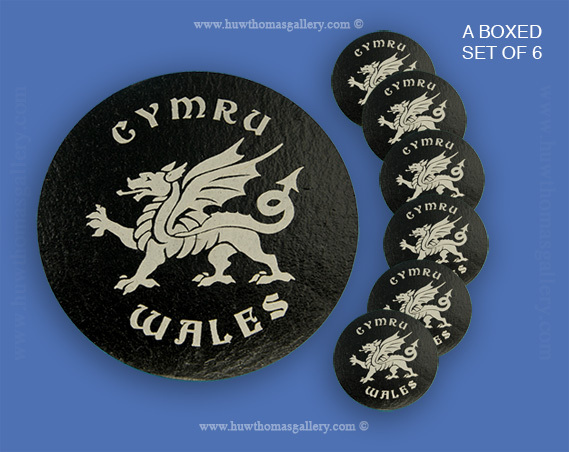 This Celtic Coaster Set consists of 6 coasters made from Welsh Slate. They are backed in black felt and come in a smart presentation box.